Donald Trump has insisted throughout his presidency that there was “no collusion” between his election campaign and the Russian government. Just hours before his former campaign chairman, Paul Manafort, was set to go on trial for tax and bank fraud charges, Mr Trump and his lawyers changed their tune. As the first trial in Robert Mueller’s probe into Russian interference gets underway, the official story is now that even if there was collusion, it does not amount to a criminal offence. The debacle has triggered debate about the extent of collusion in Australian politics, and whether Malcolm Turnbull’s new espionage and foreign interference laws are actually aimed at preventing collusion and other forms of inappropriate influence, or whether they are more about silencing dissenting political voices. “Collusion is not a crime”, or is it? “Collusion is not a crime, but that doesn’t matter because there was No Collusion (except by Crooked Hillary and the Democrats)!” Trump recently tweeted. This line was repeated by Trump’s lawyer Rudy Giuliani, who said that collusion was nowhere to be found in the US Federal Code. Collusion in Trump’s context refers to the strengthening claims that Russia and the Trump campaign worked together to produce the 2016 election result, by among other things producing and disseminating “fake news” to discredit contender Hillary Clinton. The term is not a legal one, which means the statement that it is not contained in statute is “a red herring by Giuliani,” according to Bradley P Moss, a Washington, DC-based lawyer specialising in national security. The lawyer explains that the word “collusion” does not even appear in the memorandum from Deputy Attorney General Rod Rosenstein, when appointing Mueller as special counsel to investigate the Trump team. What Mueller is actually investigating is, in legal terms, conspiring in, and aiding or abetting, Russia’s illegal actions, both of which are federal crimes. Russian state actors have already been indicted for hacking into Democratic Party computers, defrauding the United States and interfering with the election. Australia’s intelligence agencies have been claiming for several years that there is foreign interference in domestic politics. ASIO has specifically warned against accepting donations from businessmen linked to the Chinese Communist party. Its investigations revealed that two Chinese businessmen, Huang Xiangmo and Chau Chak Wing, have donated $6.7 million to the Liberal, Labor and National parties over the past decade, and more to local organisations and institutions. The men have been linked to the Communist party. Substantial donations are reported to have been made by the men to former Labor Minister Bob Carr’s Australia China Relations Institute at UTS, which is generally thought to be pro-China. It has been reported that Carr asked ALP senator Kristina Keneally to quiz MPs on the employment, job title and contract of government adviser John Garnaut, because Garnaut was conducting a highly classified inquiry with ASIO into Beijing’s activities in Australia. And former member of parliament Sam Datyari was famously dismissed after it became evident he was contradicting Labor’s policy on the South China Sea territorial dispute – and supporting China’s position – reportedly in exchange for payments from Chinese donors. Dastyari was also found to have warned donors that their phones were being tapped by intelligence agencies, and to have attempted to persuade Tanya Plibersek to cancel a meeting with a member of Hong Kong’s pro-democracy camp. The National Security Legislation Amendment (Espionage and Foreign Interference) Bill 2017 creates a series of draconian laws that aim not only to criminalise Commonwealth officers that leak classified information but all of the steps that go into reporting such information to the public. However, the proposed offences apply to everyone. And they impose maximum penalties of up to 15 years imprisonment for communicating government information, or five years behind bars for merely dealing with it. And an aggravated offence can result in up to 20 years prison time. The law inserts the new secrecy offences into the Criminal Code Act, under the newly created part 5.6 and division 121. These provisions replace the wartime offences that currently relate to official secrets contained in the Crimes Act 1914. The new laws criminalise those who communicate or “deal with” information which could potentially “cause harm to Australia’s interests,” where that information is obtained from government officials who are not formally permitted to disclose it. Fourteen major media outlets including the ABC, Fairfax Media and News Corp have submitted that the new laws, combined with other draconian measures introduced by the federal government, place journalists at “significant risk of gaol time” for reporting on state affairs. Ethicos Group specialist Howard Whitton, who has advised states and the UN on whistleblower policy, has referred to the new laws as “creeping Stalinism”. 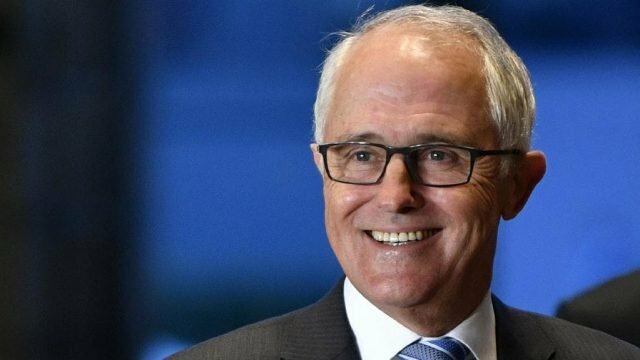 “The absolute protection of principled disclosure of wrongdoing – unfettered by government – must be preserved, or Australia will become a laughing stock internationally,” he added. But legal experts point out that the defence is entirely subjective and that, in practice, the government will interpret what is “fair and accurate” and decide who it prosecutes, or threatens into silence. So while the new laws indeed seek to prohibit foreign interference, including “collusion” by politicians and foreign people and organisations, many believe the unnecessarily broad terminology used in the legislation is clearly intended to silence whistleblowers and stifle journalists and others who wish to publish information that is critical of the government.